With a population of 1.2 billion, India is a huge market with bags of potential for tech firms and, with that in mind, Amazon is expanding its global reach and stepping up its presence in the country after launching the India Kindle Store and making its Kindle reader available countrywide. The company has revealed that the newly arrived store holds more than 1 million books — including both international and local titles. In addition, Amazon has launched its Kindle Direct Publishing (KDP) for independent authors and publishers in India. The KDP will help local publishers bring their content to the Kindle platform, making it available both to audiences India and worldwide. Retailer Croma is the exclusive seller of the Kindle e-reader, which is priced at 6,999 INR, circa $125, and listed on its website now. The retailer’s offering is included on Amazon’s own site Junglee, which launched in February. “We are proud to launch this new Kindle store for Indian customers – offering Kindle book purchases in rupees and the ability to buy and read the work of many great Indian authors,” said Russ Grandinetti, vice president of Kindle Content, Amazon.com. “We are excited to be the first retailer in India to offer the latest generation Kindle to our customers. This product will launch exclusively in all Croma stores across India at an introductory price of 6,999 INR,” said Ajit Joshi, CEO and Managing Director of Croma. With two markers in the sand now — in the form of Junglee and the Kindle Store — it seems more a question of when, rather than if, the company introduces its full ecommerce service in the country. Aside from its online presence, the company has a significant development center in Hyerabad from where it runs financial and ordering services and inventory management. The center employs more than 3,000 staff and reports last year suggested Amazon would plough $100 million into the facility to double its head count. 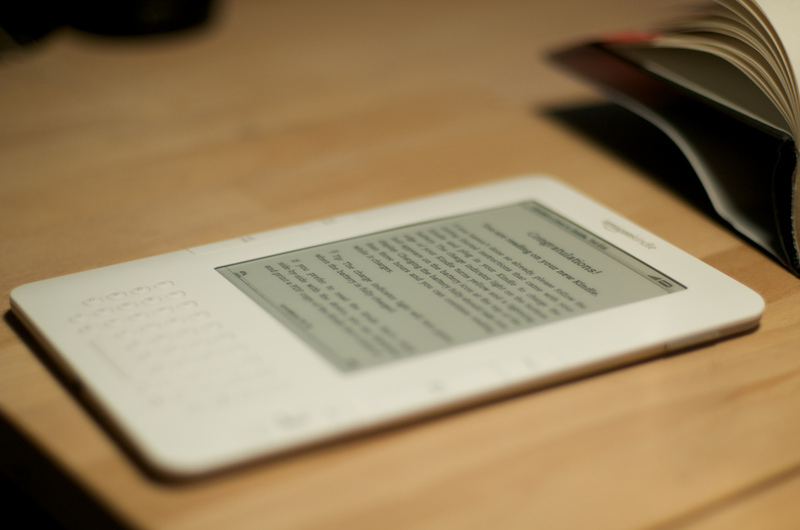 The Kindle is leading the charge for digital publishing worldwide and already, according to the company, the effects are being felt. In the UK, Amazon’s ebooks are already outselling print books from its popular Web store, mirroring the trend that has been seen in the US for some time.